The Weight of Numbers, the last novel from Simon Ings, was a dizzying, thrilling, captivating gem of a novel. 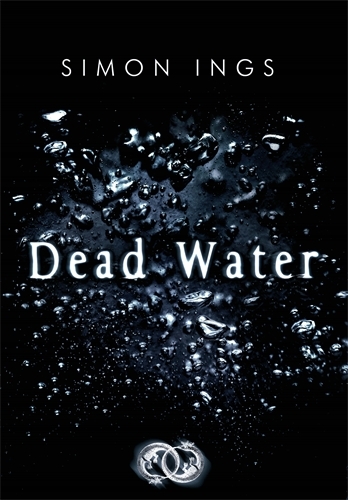 Having only recently read (and thoroughly enjoyed) it, my hopes and expectations for Dead Water were high. Fortunately, Ings does not disappoint. The novel is flits between multiple character viewpoints and locations in a non-linear fashion. Ings crams a lot of these into what is, at 343 pages, a relatively short novel, but while busy, it never feels cramped. Rather this is a rich, complex and satisfying novel. Taking part in a rescue of an Italian airship crew on the ice of the Arctic in 1928, Eric Moyse finds the notes of a scientist who has been describing the phenomenon of dead water. The principle is taken by Moyse and applied to his shipping business. The cold war arms race creates dangerous waste which needs to be kept hidden and away from people but which cannot safely be dumped. Moyse realises two things. One of which, that the newest and fastest ships are not necessarily required for transporting raw materials makes his fortune; though his fleet of old and slow Liberty Ships leaves his rivals unable to fathom his success. The other is that the algorithms used in dead water, can be made to lose the effluvia of the cold war to all but those that possess the code. This provides an anchor for the novel. The notebook found by Moyes turns up at different times and in different places, while his shipping containers occasionally fall victim to accident and are, for example, washed up in the wake of the 2004 tsunami. It would be wrong to suggest, however, that this scientific theory is the most important part of the novel. What was most striking to me was the idea that in the face of corporations and governments pursuing their own agendas which often seem divorced from the lives of the people that they purport to represent and serve, individual lives cease to matter. It is this that the idea of dead water is employed to serve. This surfaces in many parts of the novel. Sometimes it’s signalled in a clear fashion. When one of the ships carrying biological waste is boarded by pirates, we get a glimpse into the discussions and thought-processes that people go through when deciding how to deal with the threats from the hi-jackers. The disregard shown for characters in their lives by the people that exert control over their lives is mirrored in Ings writing. It would be fair to say that he doesn’t have a great deal of time for his characters. One, Roopa Vish, for example, is investigating a criminal empire in an attempt to emulate her father, also a policeman, who had achieved fame through one of his more successful cases. Working in India in 1996, when a Moyse container turns up, Vish, investigating the criminal conditions of workers, is determined that she will bring her target to book with no personal cost being too high. Her story is one of the more tragic in the novel. She never quite manages to reach her target, at one stage suffering an horrific and vicious reprisal only to carry on with renewed focus and find herself despatched in a most offhand manner. I noted that Ings doesn’t give any of his characters an easy ride and that Vish, for example, is brutalised on her long and ultimately pointless journey. However, I feel that I must praise Ings for resisting the temptation to indulge in unpleasant and pornographic violence. Not that he flinches, either. The reader certainly gets the point. There are many other characters in the novel besides Vish, her quarry and Moyes. Vibeke Dunfjeld whose ill use by the post-war Norwegian authorities leads to the loss of her son; though those who take him on care for him and give him a good life. There is also a spy whose life becomes entwined with others in the novel. All of these have their part to play and, in truth, it is more than I can usefully cover here. However, while many of them struggle to make a lasting stamp on the world and are doomed to failure in spite of their best efforts, that isn’t to say that Ings has failed in the task of characterisation. Rather that they are the victims of corruption (at many levels), ruthless governments and accident. The dynamics of the story, moving back and forth through time, creating turbulence of their own, mirror expertly the currents of the titular Dead Water. You may question this and think that it sounds more than a little too clever for its own good. Fortunately, however, Ings writing and the corporate and government corruption themes are equal to the structure. For all the novels depth and refusal to stay in one place and time, it is fast paced and engaging. While it has a real depth and the themes are unquestionably weighty, only those most concerned with liking their characters (even Vish, whose quest is righteous, becomes disagreeable in her refusal to recognise when she may have lost) and seeking engagement through the eyes of one protagonist, will fail to find themselves carried along by the currents of the novels plotting. “The Sultan sits at the foot of the bed, his injured foot extended. He holds his gun by the barrel, ready to present it to the man come to depose him. David bows. ‘Your majesty.’ There is a form of words for this. A protocol, if you can believe this, for throwing an old man out of his realm. David’s been practising, he’s got the form down pat, but he’s not ready for the Sultan’s stare. The face is lifeless but the eyes burn with an intensity David feels increasingly frightening. He employs a schoolboy trick, focusing on the tip of the man’s ear – black and dry as a scrap of boerwors – as he recites. An Edwardian pupil tackling Casabianca was not more proper, or more nervous. The Sultan makes to stand. David hobbles forward, but the Sultan waves him angrily away. he’ll surrender on his own terms. He’ll exit the world’s stage under his own power, thank you. If necessary, he’ll hop. In fact, they can both hop. Christ, thinks David, teeth gritted against laughter, what a pair they make. I’ve grumbled, possibly here, but certainly on Twitter and in real life, about 1000 page long, enervating tomes which require not so much an editor as an axe. Ings proves that a good writer will succeed in the task of handling complex, weighty ideas without excess flab. This is wonderful stuff and I recommend it without reservation. This entry was posted in Review and tagged novel, sf, simon ings. Bookmark the permalink. Thanks! Appreciate it, my silence has been a combination of computer and internet borkage! Most upsetting! Hell of a review, Richard. Just now working on my own for Dead Water and Christ almighty it’s a difficult book to get a grips on, as you have. Which is to say: good to have you back! Heh, although there is an element of this being precisely the kind of thing that I like… but Ings does it particularly well! This incotdures a pleasingly rational point of view.